Greetings! I hope this finds you all well. I’ve been busy as ever, ploughing through another load of the best hand picked gems from my SoMe trawls….so here are some #FOAM dazzlers for you! Adrian Wong, Manu Malbrain and myself teamed up with the guys at Biomed Central (BMC) to bring you a 3 part series on social media in critical care. We talk you through what this ‘revolution’, is all about. Watch out for part 3 coming Monday! The POCUS Atlas goes from strength to strength! Not only has a vast amount of work gone into it with image supply and acquisition, they have now sub-divided into some exciting new sections! Invaluable site. Selective Digestive system decontamination was the buzz back as early as 2002. But what have the multitude of trials shown us? Does echo actually improve sepsis mortality? A fabulous paper, thanks to Segun for this one! So does what we do with echo guided resuscitation in the septic patient actually benefit them from a mortality stand-point? Which variable should we look at to assess this ‘wrap around’ structure? Get your Fascia Iliaca Block in asap! The elderly suffer huge morbidities and potentially mortality from #NOF. So why leave them in acute pain…at least sort this out for them, it’s a given right?! Great review article by Anaesthesia here on the subject and Fascia Iliaca Block link here. The death of a swan…does the Queen know?! 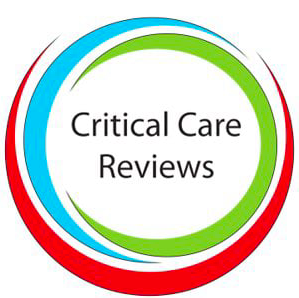 Rob MacSweeny and Crit Care Reviews point us in the direction of some nice papers on the Swann again. Steroids for ARDS – are they really beneficial? There always seem to be controversies over this…read this letter, they have some relevant points. Controversial. How early do you refer these patients to your nearest ECMO centre? Is there one near you? Is it effective from a mortality standpoint. This analysis by Aidan Burrell is brilliant and looks at whether 60 day mortality was improved in patients with severe ARDS who received early initiation of Extracorporeal Membrane Oxygenation (ECMO), compared to standard care. So the SSC guidance updates cause a stir again. Are ED’s being slammed with this? A great one from the might POCUS Atlas – this time on RUQ pain. The sun never shines on an empyema! Here’s one from Rajiv Thavanathan. The CWR shoed a query right upper lobe consolidation! PICC’s can be a nightmare! Take a look at these fabulous images from Juan Lopez Mattel. PICC removed, but there’s something suspicious in there! We love to hate a thrombus in transit! Thanks to Vishesh Kumar for this one! Then there’s a dilated RV…. Percutaneous drainage of a gallbladder! Thanks to Robert Ryu for this. So even back then, they were warning us of the POCUS revolution?! Lovely short snippet from Christine Butts on CXR / US for pneumonia. Keep things tight and you’ll go far! Governance in POCUS is becoming a key issue of late. More and more of us are reaching for portable devices, or scanning by the bed space. But are we keeping accurate records, storing images appropriately and indeed….imaging not imagining?! Have a read..
Chris nixon takes us through the indices used to calculate PA pressure. LVOT obstruction due to cardiomyopathy and SAM! Brilliant! They’re just holding their breath! As Josh Bramwell points out, quite rightly…do not be fooled by the barcode! This is someone holding their breath…so pleural sliding is absent.. you won’t see a nice ‘seashore sign’. But, the interferences we see here are transmitted cardiac pulsations you WON’T get if it’s a true pneumo. Subtle! Oh, and on B mode, you also won’t see many A lines beneath…just saying! Thanks to Josh for these top tips. Don’t just focus on the obvious! Use the probe…is it helpful? US Jelly tell us. Controversial – we were SHoC-ED! So this is the SHoC-ED trial. We have been chatting together about this and do expect a forthcoming podcast on it. Warns us regarding under and over doing it, then the ‘sweet spot’. Zsolt Molnar explained fluid boluses! Deal with your relatives with empathy and sympathy where possible! Let’s get know a bit more about our patients. Salim reminds us to be CAREFUL! Anna Williams took a screenshot of this at Euroanaesthesia. Nightmares occur in Obs anaesthesia…keeping them well oxygenated is key. A nice slide explaining many of the interactions between the mother-ship control centre and the rest of the body…..the lungs in this slide! Don’t jump in on that INR just yet! Quit the fags and don’t O.D! A lovely table from Casey Parker. They’re drunk again…there’s no head injury! A new approach to pain! Please take a look, particularly at the publications section. A brilliant resource. Check out this rather handy resource fro the John Hopkins. Check out some of the USOTW brilliance! They have some fabulous tools to help you analyse your US clips. This one, M-mode.ify! Also see their others. Take a look at this fabulous resource from Luke Howard here. You can download and run some brilliant Prezi presentations and learn heaps! More great stuff from the Osmosis crew!